We can install Saniflo macerators at great prices, if you are thinking of adding an extra toilet in your house, then get in touch to find how we can help. Macerators are a great way of adding an extra toilet without the need for extreme underground plumbing. Saniflo macerators are designed so that you can more quickly and cheaply add ensuite bathrooms or additional toilets almost anywhere in the house. They are hugely popular in loft conversions or adding ensuite bathrooms where you want to save money and the disruption of large-scale building work. Macerators are also popular on commercial premises where you want to add toilets or an extra bathroom in restricted space. Macerators are perfect for adding an ensuite or extra toilet almost anywhere with the least interruption. Saniflo themselves promote the fact that a toilet can be easily installed under the stairs or even in a garage. The process is simple and low-cost because you don’t need to dig up the floor to lay the standard large diameter pipes, in fact, many of the Saniflo macerators discharge through 22mm pipework which can be easily installed and hidden. How do Saniflo macerators work? All macerators including the Saniflo macerators work in a similar way to a blender. In a standard toilet, you need a large 4-inch diameter waste pipe, so that is can handle the solid waste including waste and toilet tissues. The macerator is designed so that you don’t need a 4inch waste outlet pipe; the solid matter is reduced in size so that it can be moved though much smaller diameter pipe, such as 22mm pipe in some cases. The benefit of a macerator is so that you can more easily and cost-effectively install a toilet almost anywhere in your house. The output from a macerator is usually a 22mm pipe which is far easier to install and run through walls where needed; it means you don't need to dig up the floor to run 4-inch pipe. You can build an en suite bathroom, or easily add a bathroom in an annexe, garage or even under the stairs. Whether you want to install a toilet at home or in your business, we can help. With many years experience, we have gained the knowledge and necessary skills to get your new macerator and toilet up and running ASAP. Our mobile engineers are on call 24 hours a day, 7 days a week, because we understand that people work at all times of the day and it is getting more common to work late shifts and nights. We can install a macertor whenever is convenient - we work around your busy schedule. We aim to make it more bearable, by having our friendly, reliable, and professional engineers on call whenever you may need them. If you do shift work, you need a plumber that can work around your schedule. We are a 24-hour service for that very reason. 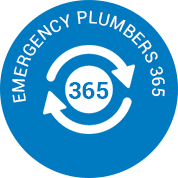 Emergency Plumbers 365 covers Harrow, Arnos Grove, Barnet, Belmont, Borehamwood, Bushey, Colindale, Denham, Edgware, Enfield, Finchley, Golders Green, Harrow, North Harrow, South Harrow, Hatch End, Hayes, Hendon, Highgate, Hillingdon, Ickenham, Kenton, Kingsbury, Mill Hill, Muswell Hill, Northolt, Northwick Park, Northwood, Perivale, Pinner, Potters Bar, Preston, Queensbury, Radlett, Rayners Lane, Rickmansworth, Ruislip, Shenley, Southgate, Stanmore, Totteridge, Uxbridge, Watford, Wealdstone, Whetstone, Winchmore Hill, Woodside Park, and all of those surrounding areas in Middlesex and the Hillingdon Borough. For any plumbing services or maintenence emergencies, our fully trained, qualified and certified engineers are on standby 365 days a year. 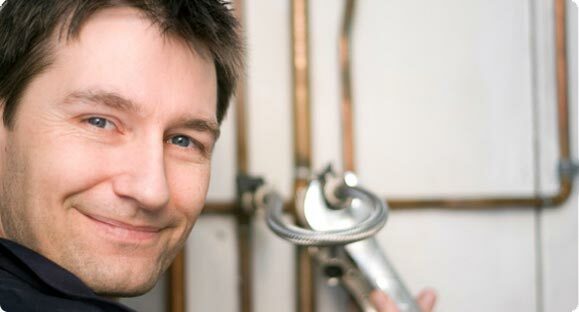 Specialised Plumbing & Heating Services in Harrow. 365 days a Year. 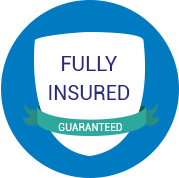 All of the work our experienced plumbing engineers carry out is fully guaranteed. We have many satisfied customers and offer an efficient, professional, friendly, and affordable service. 24 hours per day, 7 days per week, 365 days per year. Becuase we know, a plumbing emergency can happen at any time, and we are here to help when you need us. EP365 always strive for total customer satisfaction. Our customers will return to us time and time again because they can trust the services we provide. Not only do our customers stay with us, but they also help us spread the word to their relatives, friends, and business colleagues. That's why we aim to be the best. Below are a few of the services we offer in Harrow, Middlesex and across West London. Our vans are fully stocked and prepared for any emergency. Based in the Harrow area so that we can respond quickly when you need us whatever your plumbing crisis may be. 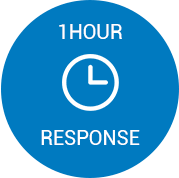 In fact, at Emergency Plumbers 365 we are so confident of our ability to get to you in an emergency that we offer an ‘aim for an hour’ response time. So you can be sure that we will get to you quickly and efficiently when it really counts. Emergency Plumbers 365 provide outstanding plumbing and heating services in Harrow and across London. Whether you are a domestic customer or business. This is why we are the first choice for our customers. 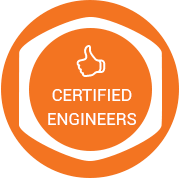 Feel safe in our hands with the knowledge that our engineers can assist you with your issue. Whether the issue is plumbing, heating, gas and drainage, we can help at any time of day 365 days a year. Our heating engineers can take care of all aspects of central heating systems. Boilers to water tanks, to the radiators themselves. 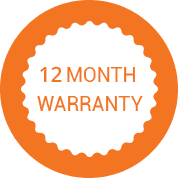 As we are Harrow based, when you need us, we can be with you and have the problem fixed, quicker, cheaper and more easily that you can imagine. Our engineers cover all types of boiler and gas work, whether it is a gas leak, relocating pipes, installing new systems, managing breakdowns or providing you with the peace of mind through an annual gas safety certificate. We offer affordable plumbing solutions for your larger projects, such as plumbing and installing an entire bathroom or part of it. Our friendly, reliable staff are happy to help and offer great rates on both smaller one-off issues and larger projects. Our capable, qualified engineers are able to provide a full plumbing service 24 hours a day, 7 days per week. No matter the type of issue! From a leaking pipe to a complete bathroom renovation or installation, and everything between. No job is too big or too small. Q. Do I have to dig up the floor? A. The Saniflo macerator's function is to pump waste and water away, it should not usually be necessary to dig up the floor to lay the discharge pipework. It is possible to run the pipework from a low level to a higher level e.g. from a basement to ground floor level, or from 1st floor up into a roofspace and then join to a soil stack. Q. What types of WC's are suitable? Q. Can waste be discharged into a manhole? A. A Saniflo macerator is usually discharged into a soil and vent pipe or discharge stack. However, you can connect directly into the sewer at invert level. The discharge pipe should discharge into the gulley in the direction of flow. Entry can be through the wall of the manhole. which should be sealed to ensure a watertight joint. Pipes should be suitable for use under ground and protected against frost and also against subsidance from the effect of vehicles passing above. Full details are available on Saniflo BBA certificate 87/1889 detail sheet 9. Are we the best local plumbers?